On Friday, James Mattis was sworn in as the 26th Secretary of Defense of the United States. 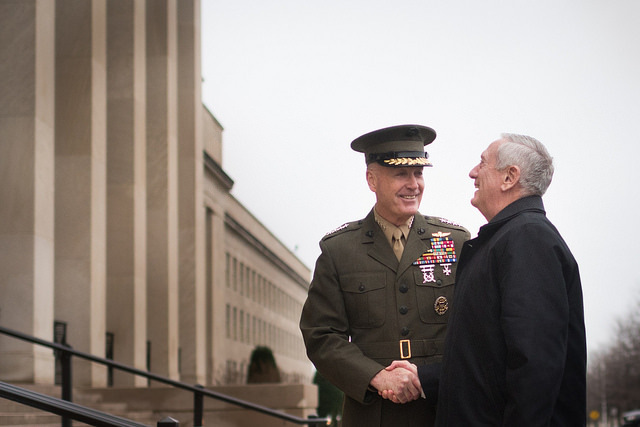 Shortly after being sworn in, the retired four-star General delivered an address to those he will now be leading at the Pentagon and told them “it’s good to be back.” The Department of Defense and the Chairman of the Joint Chiefs of Staff released images from Mattis’s first weekend on the job and his face shows just how glad he is to be given the role. 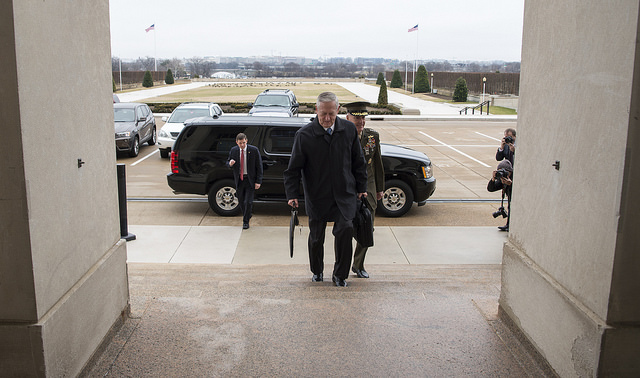 Arriving for his first full day on the job on Saturday January 21, James Mattis looked proud and excited to be back at the Pentagon. As he got out of the car he shook hands with General Joseph Dunford, the Chairman of the Joint Chiefs of Staff. 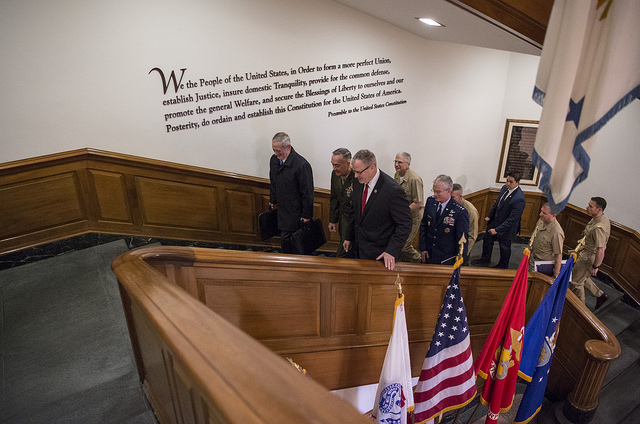 Secretary Mattis made his way into the offices at the Pentagon to begin his first day. 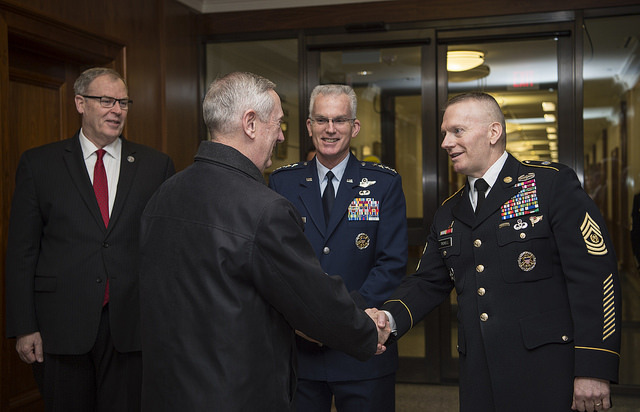 Secretary of Defense James Mattis greets U.S. Army Command Sgt. Maj. John Troxell, Senior Enlisted Advisor to the Chairman of the Joint Chiefs of Staff. 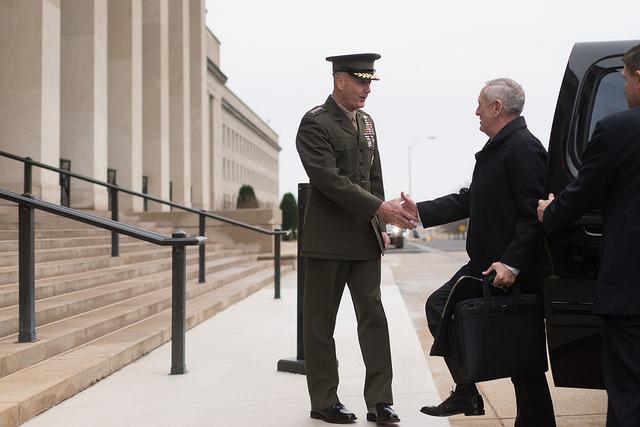 Secretary Mattis hosted his first “Top 4” roundtable with Deputy Secretary of Defense Bob Work; U.S. Marine Corps Gen. Joseph Dunford, Chairman of the Joint Chiefs of Staff; and U.S. Air Force Gen. Paul Selva, Vice CJCS. 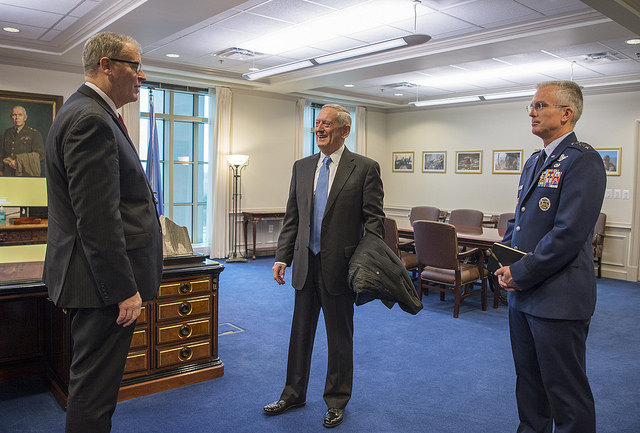 Secretary of Defense James Mattis spoke with Deputy Secretary of Defense Bob Work and U.S. Air Force Gen. Paul Selva, Vice Chairman of the Joint Chiefs of Staff. Before serving his official first full day on Saturday, James Mattis attended the Inaugural parade on Friday night, and watched alongside the new President of the United States, Donald J. Trump. Secretary Mattis At Pentagon: "It's Good To Be Back"